Find a vacation home to rent in Baschi from our list of vacation rental properties. Campaya has over 7 vacation homes available in Baschi, which give you the possibility to locate a unique accommodation in Baschi which completes your check-list in search for the perfect self catering vacation apartments in Baschi or vacation villas in Baschi. "Sunflower" is the farm house that is situated between Umbrian hills and overlooks on the beautiful Tevere valley and is situated between 2 important art cities like Todi (12km) and Orvieto (20km). 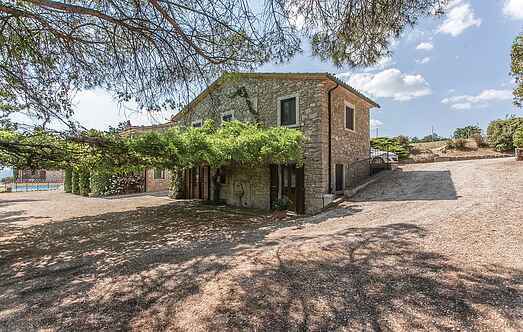 This elegant portion of a two-family house is set just 10km from the beautiful town of Orvieto. Pleasant apartment situated in the centre of the ancient hamlet of Baschi (all kinds of shops). For your holidays choose this large and bright portion of a semi-detached house in the historic center of Baschi, with wonderful views of the surrounding vineyards.